Every day counts! That’s the message Jefferson County Public Schools (JCPS) and community partners shared with Thomas Jefferson Middle School students during a surprise pop-up party to celebrate their strong attendance. The event, held on February 8, was part of the district’s #EveryDayCounts attendance campaign, which highlights the importance of students being at school each day. 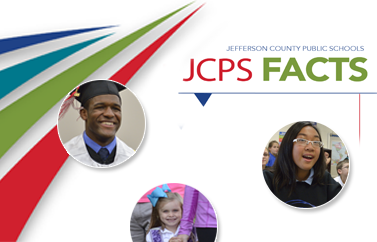 The efforts from Thomas Jefferson students and staff have resulted in the school cutting its chronic absenteeism rate by four percent and earning the top spot among all JCPS middle schools for improved attendance. To celebrate, Alpha Media on-air personalities, New York Giants player and Fern Creek High School graduate Jamon Brown, local musician Bblasian, Jefferson County Board of Education member Corrie Shull and others joined JCPS for the surprise party at the school. Learn more about ways to identify and remove barriers to getting to school at JCPSEveryDayCounts.com.